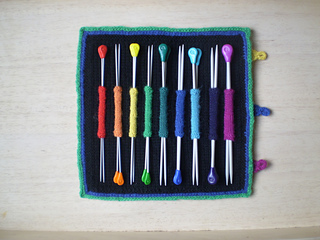 This knitting needle roll is full of colour. 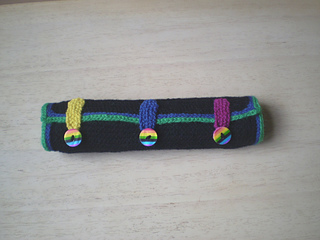 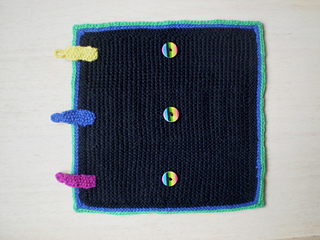 The sleeves that hold the needles, the edging and the button tabs are all knitted in bright shades of 4 ply to contrast with the black double knitting yarn used for the main roll. 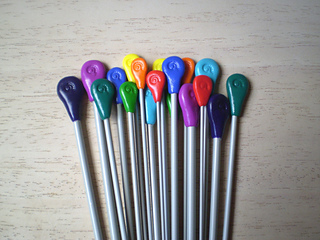 Instructions are included to adapt the pattern to fit different sizes and numbers of needles. 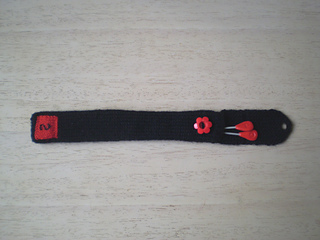 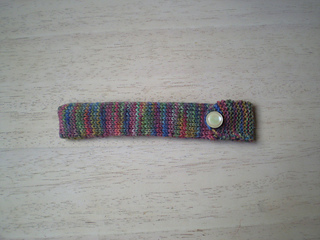 There is also a pattern for an individual needle pocket.